"He will employ 600 staff at the property and his family will live in the top floors, where they will enjoy a panoramic view of the country’s financial capital, including its slums, and the Arabian Sea. It was built to withstand military-grade explosions and an magnitude-8 earthquake, Indian media reported." 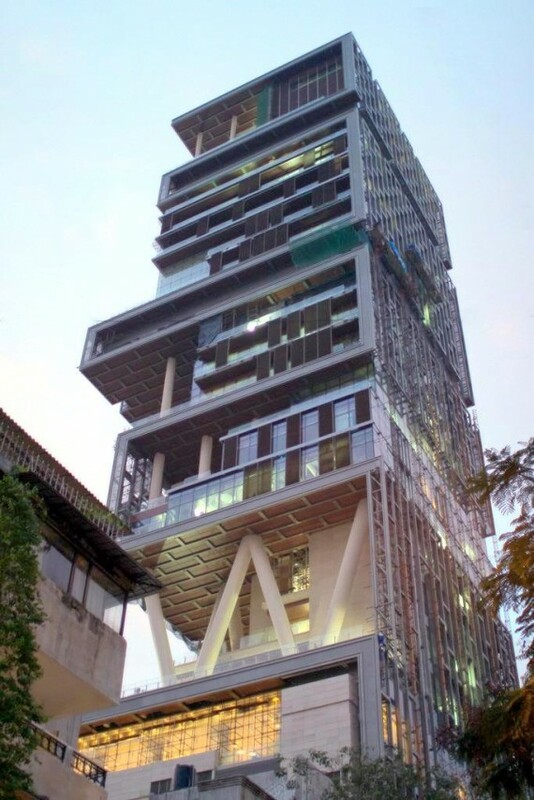 via Mukesh Ambani, India’s Richest Man, Builds World’s First Billion-Dollar Home | TheBlogIsMine Dot Com.